Will SkateBoarder magazine and The Daily Habit share the same fate? Thirty years ago, SkateBoarder Magazine, the best skate journal from the 70’s stopped publishing under its name and switched to Action Now by including some more endemic action sports like Snowboarding, BMX and sorts. Although the move was precursor of what would happen 15 years after with the birth of the XGames, it was seen at the time as high treason. 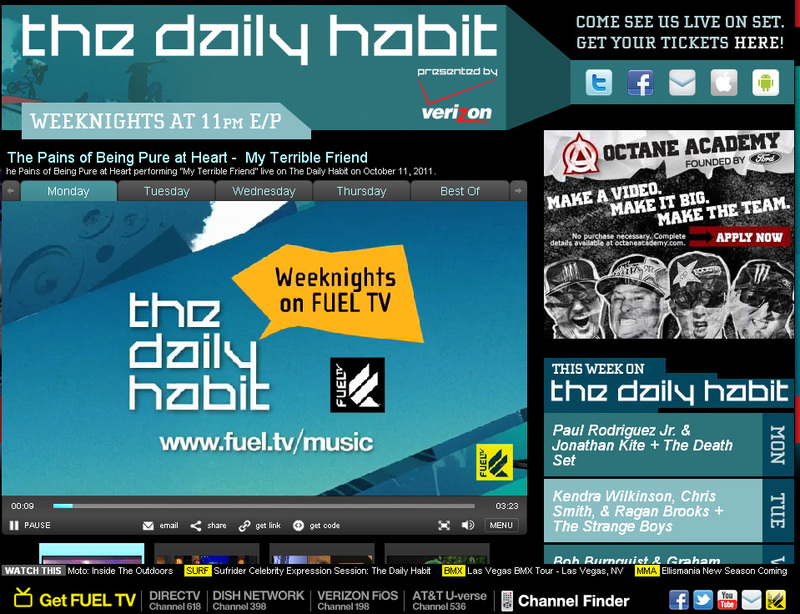 Now, the same thing is happening at Fuel.TV. In 2010, network executives started reexamining their unique niche in the television landscape. Within a few months, then Executive Vice President and General Manager CJ Olivares, who helped launch Fuel TV in July 2003, announced that the network would pull back slightly from its sharpened focus on action sports to include a wider spectrum of thrill-seekers. This new world view, Olivares said, would include non-endemics that shared the same individualism and risk-taking as their action sports counterparts. Enter mixed martial arts and rally car racing, even some rock climbing. 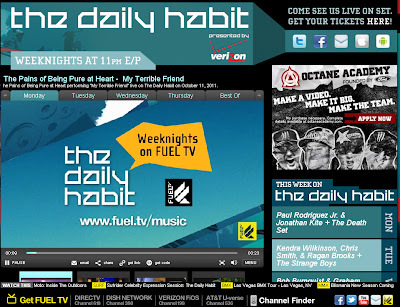 “Originally, the Daily Habit appealed to the core action sports community on many levels, with industry shot-callers and athletes watching the show for new footage, trends, and potential team riders. Plus, younger viewers who could get candid glimpses of their action spots heroes during in-studio interviews, and see established and emerging bands perform, all in the same half hour. "Then all of a sudden, this is dwindling rapidly," says Ian Hill to ESPN. "And the audience is disappearing, and it just kind of sputtered." Eventually, just when The Daily Habit started to take a broader route they lost a lot of their core followers. So, you want to play in a skateboarding Movie?